A lot of avionics news came out of the sixty-first annual Aircraft Electronics Association International Convention and Trade Show, March 26 through 29 at the MGM Grand Convention Center in Las Vegas—and several announcements had to do with autopilots for general aviation aircraft. S-TEC 3100 Digital Autopilot. Image courtesy of Genesys Aerosystems. Genesys Aerosystems announced the S-TEC 3100 Digital Flight Control System (DFCS), its next-generation autopilot. The S-TEC 3100 is a fully featured, attitude-based autopilot that provides the pilot with a list of workload-reducing and safety-enhancing capabilities that the company said were previously unavailable on aftermarket autopilots. The S-TEC 3100 is compatible with advanced digital data sources and electronic flight information system displays from Garmin, Aspen, and other avionics manufacturers, the company said—however, a glass cockpit and air data computer are not required. It provides precise digital flight control for every phase of flight and includes automatic trim; envelope protection and alerting, monitoring overspeed, underspeed, and overbank; altitude preselect; indicated airspeed hold; and straight-and-level recovery. It can fly coupled precision approaches and missed approaches. STC installation and testing are scheduled to conclude March 31, and the autopilot should be shipping by the end of April for Cessna Skylane models 182,182A through 182T, R182, TR182, T182, and T182T; Cessna Centurion models (T)210K, (T)210L, (T)210M, (T)210N, and (T)210R; Beech Bonanza models 35, A35 through V35, V35A and B, 36, A36, A36TC, and B36TC; and Piper Saratoga models PA–32-260, PA–32-300, PA–32R-300, PA–32RT-300, PA–32RT-300T, PA–32R-301, PA–32R-301T, PA–32-301, PA–32-301T, PA–32-301FT, and PA–32-301XTC. Approvals for the Cessna 177 Cardinal; Cessna 310/320, 335, and 340 and 340A series; Cessna 425, 421, and 414; Cessna P210 series; and Piper PA–46 series are set to follow by early summer. Pricing starts at $19,995 for a two-axis system and $24,995 for a three-axis system; owners of aircraft with an existing S-TEC autopilot system can upgrade for as little as $9,995. BendixKing announced its KFC 230 AeroCruze next generation autopilot, designed to provide an efficient upgrade path from legacy BendixKing autopilots to the latest digital technology, offering advanced safety features and an intuitive hybrid touchscreen interface. The AeroCruze Flight Computer is the heart of the AeroCruze system, and it’s designed to fit within the existing form factor of the legacy KFC 150 flight computer. The AeroCruze has also been designed to be remote mounted to accommodate KFC 200 and 250 installations. The KMC 231 Mode Controller provides control and annunciation functions via a glove-friendly, color LCD touchscreen with dedicated controls for frequent tasks; it seamlessly integrates with the AeroCruze computer. Attitude input comes from a digital attitude source provided by the KI 300 primary attitude indicator or another approved digital attitude source. Autopilot functions provided include altitude pre-select/alerter, GPS/ILS/VOR tracking and approaches, GPS roll steering (GPSS), vertical speed, and indicated airspeed hold. A two-axis version is standard, and a three-axis version is available with an optional yaw damper. When upgrading existing KFC 150, 200, and 250 autopilots, the installation utilizes existing servos, brackets, and wiring. Flight testing is underway in BendixKing’s Piper PA–46-350 Malibu Mirage, and a Beech Bonanza A36 installation is in progress. The new autopilot is scheduled to be available in the fourth quarter of 2018 for a variety of Beech Bonanza, Mooney M20, and Piper PA–32 models; Cessna piston singles, as well as additional Mooney, Piper, and other aircraft will follow. Retail price for upgrading an existing system is $9,995; new installations start at $19,995. TruTrak, which broke ground with its Vizion autopilot by pursuing parts manufacturing approval (PMA) authority instead of a more expensive technical standard order, provided an update on its progress. The Vizion autopilot is available now for Cessna models 172, 175, and 177, as well as the Piper PA–28 and PA–32. 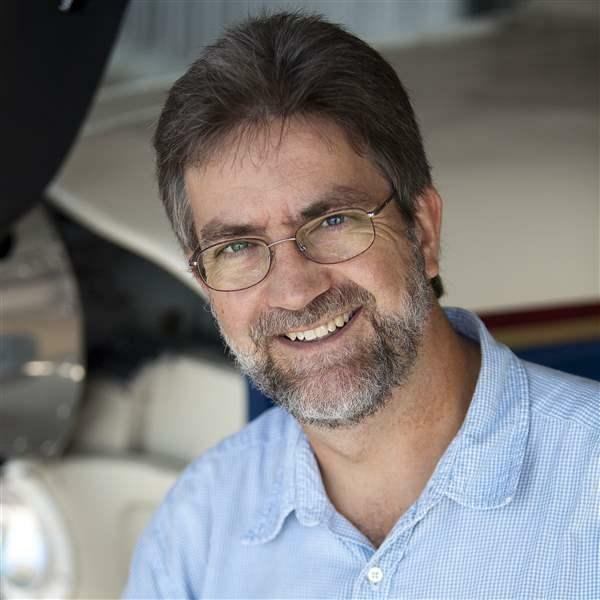 TruTrak said Vizion design was in progress for the Cessna 170, 180, 182, and 185, as well as the Mooney line of piston singles. The Beech Bonanza, Grumman, and other singles and light twins will follow.